Make an appointment and get your sewers cleaned before the holidays! We offer a great price for cleaning your sewer with 5/8 inch sewer cable when you have direct access to your sewer trap. Direct access excludes sewer traps located in crawl spaces due to the fact that this type of job will take twice as long than a direct access trap. Direct access includes sewer traps located in basements or outside for slab homes where the sewer trap is exposed and we can have the sewer machine right next to the sewer trap. Our price is for sewer lines that are within 75 feet to the county sewer which includes most homes on Long Island. Any sewer lines that are longer than 75 feet will cost more for adding more cable which will take more time to clean the sewer. 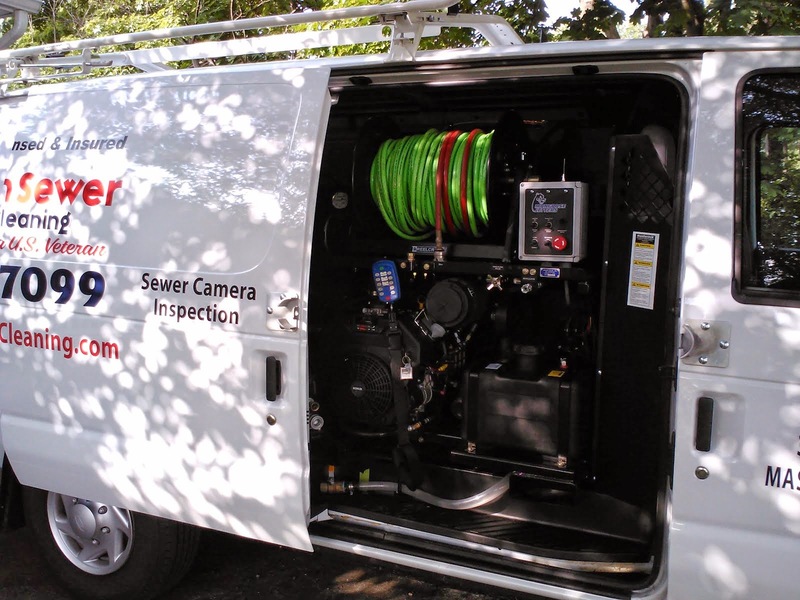 We will at no charge use a sewer camera to inspect your sewer line during and after we are done so you can see the end result. 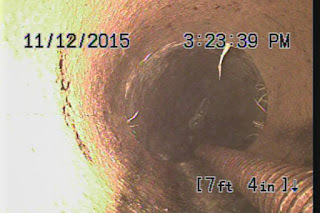 We use the sewer camera to ensure that the sewer is cleaned to the best of our ability. Sewer lines with root intrusion will need to be maintained if possible. We do run into sewer lines that have been neglected for long periods of time or where the sewer company cleaning the sewer used a small cutting head and did not make much of an effort to clean your sewer which is not in your best interest. Some of these sewer lines will be recommended for a repair or in some cases a sewer replacement if we find that roots have caused extensive damage. We DO NOT repair or replace sewer lines. 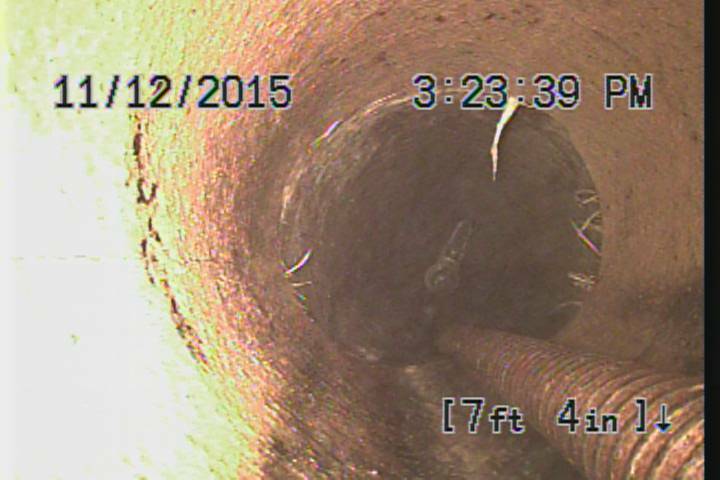 We are a neutral party when using the sewer camera. We will make a honest assessment and give you a honest opinion if we see something that is questionable. Even after a root clog most sewers are able to function and just be maintained. We usually recommend an annual sewer cleaning. If we do see something that needs repairing we will refer you to a plumber that deals with repairs. You should be getting several estimates before making a repair and choose whoever you are comfortable dealing with. 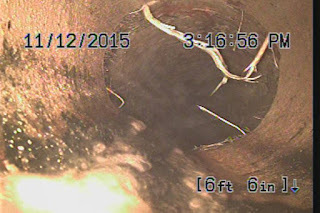 Here's a couple of pics that a regular sewer maintenance is in order. 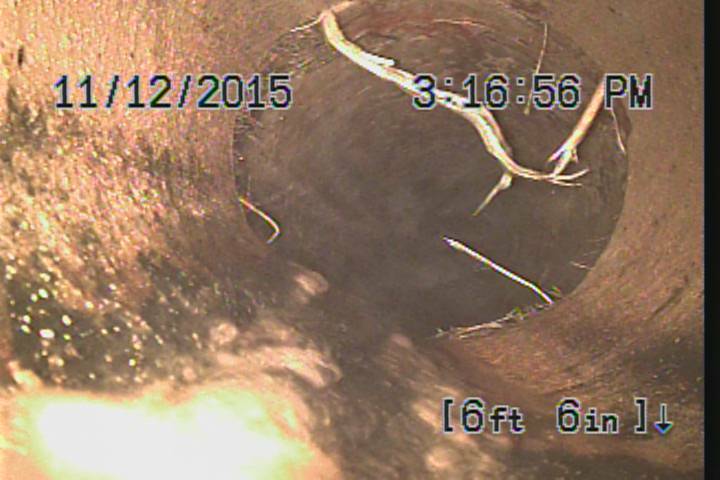 This sewer had a large mass of roots after 20 years of no problems with the sewer. We were able to clean this as good as it gets. This is a pic after clearing the sewer and after a final pass. We will cable the sewer more than once to ensure we cut as much root as possible. We could water jet the rest of the roots from the pic below but these roots WILL grow back and in this case not make much of a difference although some sewer companies will claim different and charge $750 and up and will not even follow up with a sewer camera to show you the end result. Do not fall for this! Foaming root killer would be more ideal for this and check it the following year when doing your sewer maintenance. 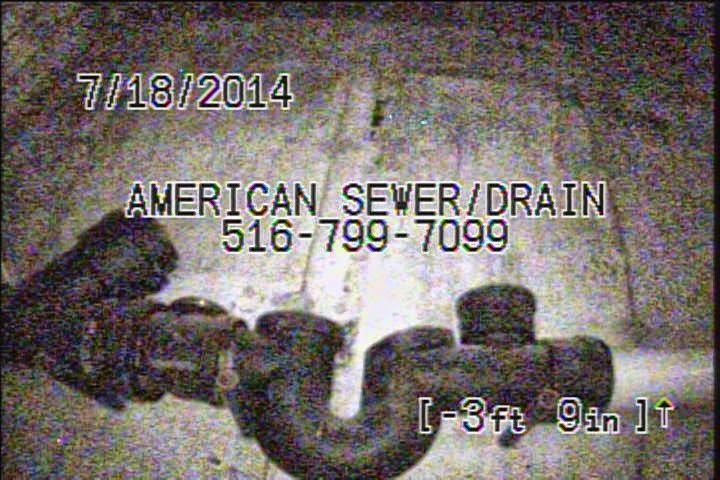 Call American Sewer & Drain Cleaning Inc. today and make an appointment to have your sewer cleaned. Again, if your sewer has ever had a clog due to roots growing in it will happen again if you do not fix or maintain it. For more posts or to see our reviews and read what our customers have to say about American Sewer & Drain Cleaning Inc. visit our Google Plus Page. 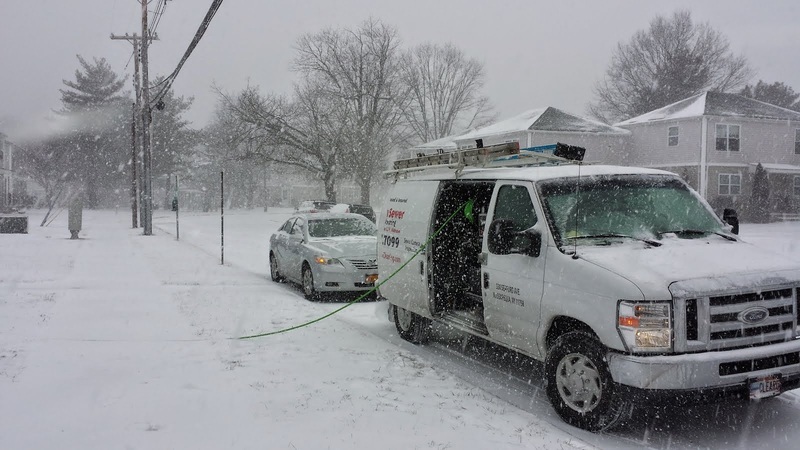 Water Jetting In The Snow! Copyright American Sewer and Drain Cleaning Inc.. Picture Window theme. Powered by Blogger.